Today is my 48th birthday! I celebrate it with a small circle of friends, and sadly, long distance with my family. Birthdays tend to be a time of reflection for me. I look back at all of the things I wish I would have done, things I did that I regret, but more importantly, things for which I am grateful. I am sure that some would look at my life and see the chaotic twists and turns, the decisions I have made, and also the mistakes. I experience moments when I wonder how I got here… how my life has brought me to where I am today. I have made so many changes in my life over the years, with the biggest probably being the move I made across country to Arizona last year. I have made choices based on my gut… decisions which to others may appear to be impulsive. But in reality, I have been following a dream that no one can see except me. One important lesson I have learned is that I no longer have to explain myself to anyone. I know what I want… I know in my heart the peace that I seek. 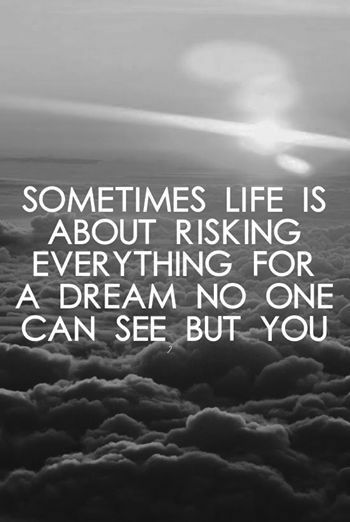 Others may question my dreams… they may even call me silly… and that is okay. I have risked quite a bit to get where I am, and I have made so many mistakes along the way. However, I will never apologize or try to explain searching for a dream of which only I know. I would rather search aimlessly attempting to fulfill a dream, than to spend the rest of my life without a dream for which to search at all! If I drove my car while looking back… I would surely crash. So why is it that I have lived my life looking back? Every decision I have made, seems to be rooted in the past. Failures or mistakes of the past have colored these decisions. Every new experience causes me to wonder if I will make the same mistakes, or will result in the same failures. I may be a slow learner, but at least I am learning! I am coming to believe that if I focus on today, knowing that I am a different (maybe even better) person than I was in the past, it is not necessary to repeat the past. How many times have we failed to hear our friend’s laughter, the sound of the birds chirping, the smell of honeysuckle flowers which came into bloom recently? We were never able to lay claim to them because we were so lost in our own thoughts about yesterday or tomorrow. Staying in today, staying in the NOW…. this is the only way to grow. Looking back and living in the past will keep you stuck, not allowing you to grow and change into the person you were meant to be. Turn your head around… stop looking over your shoulder… stop judging yourself so harshly for mistakes you’ve made. Today is a new day. It may very well be the start of your new life. 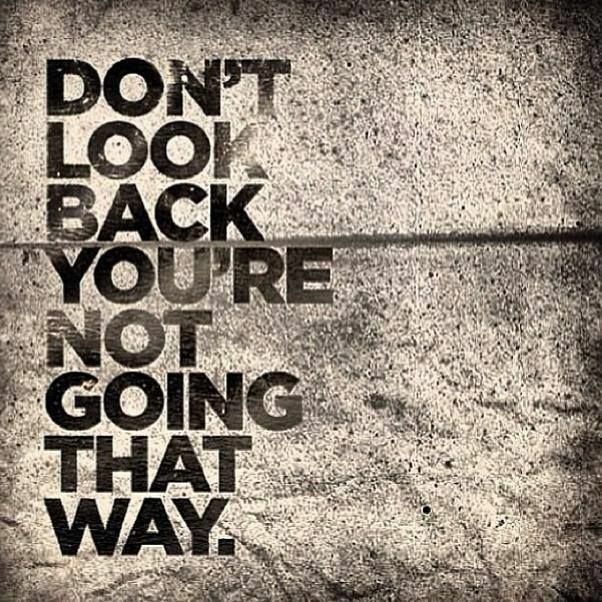 Go forward, and don’t look back! After six long months, my adult children have come to Arizona. It is the first time I’ve seen them since I moved here from Chicago in June of 2014. My daughter has moved here permanently, and my 22 year old son is visiting. Life is good! My decision to move across the country was met with much judgment and many questions, as I’ve chronicled in previous blog posts. I was looked at as selfish by a few of my closest friends, while others completely supported my decision to better my life and start anew. Regardless, I have held fast to the belief that this move was something I was meant to do, and had been waiting for my entire life. Now that my children are here, I have this feeling that I’ve done something perfectly right… after a lifelong gnawing voice had been telling me I was not perfect. I now fully realize that I will never be perfect, and I have stopped trying to be. 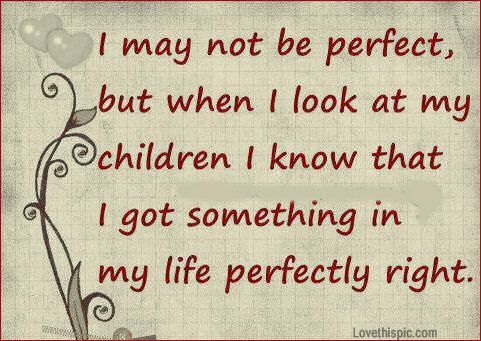 However, when I look at my kids, I realize I did do something perfectly right… right for them and right for me. If the decisions we make throughout our lives have good intentions, then what we have done has been done perfectly right. It does not matter how others view our decisions. They are not living in our shoes… they have not had our experiences… they simply do not know the whole story. Every lesson I have ever taught my children, every piece of advice I have ever offered, and every word I have ever said was taught, offered, or uttered with love and good intentions. If that is truly the case, then how could I have achieved any result that is even less than perfect? I choose to look back on my life with pride. I am not saying I never made any mistakes… hell, no! Instead, I am simply saying that I always hoped for the best and did what I thought was best at the time. You could never ask for more than that.